Let’s just start right off the bat with a quick disclaimer: if you don’t like the abstract, surreal, or bizarre, then this video is not for you. If you are into that sort of thing (or you’re just looking to expand your horizons a bit), then stick around because you’re about to be introduced to the epitome of weird. First things first, it’s important to know that The Gorillaz technically don’t exist. They are the brainchild of English musicians Damon Albarn and Jamie Hewlett and feature four cartoon members who vaguely resemble gorillas. They exist in an alternate universe shown in their many odd music videos and short cartoons, most of which can be found on YouTube—for those of you who are curious. Because of their history of being weird for the sake of being weird, it’s not a surprise that “Do Ya Thing” is no different. 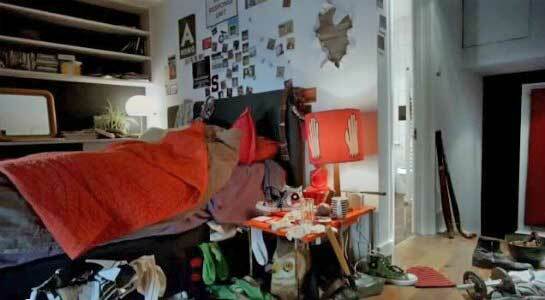 Some of the chucks laying around in 2-D’s room. 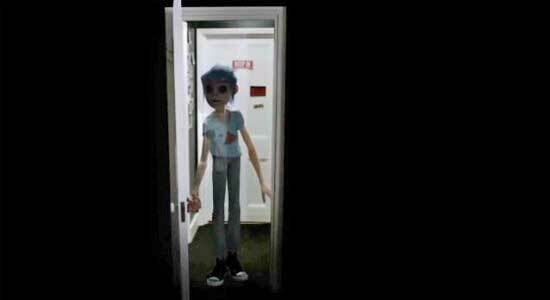 It focuses on “lead singer” 2-D, the lanky, blue haired character who is going about his morning routine. This starts out typical enough with our hero groggily dragging himself out of bed and heading to the bathroom before tugging on his outfit for the day. That which includes a pair of black high top chucks. Now before you get skeptical on whether or not his shoes are actually chucks, seeing as 2-D is animated, a quick background check and you will find that the video was commissioned by Converse themselves as part of one of their many past music projects. 2-D peeking into a doorway that leads into a black abyss. 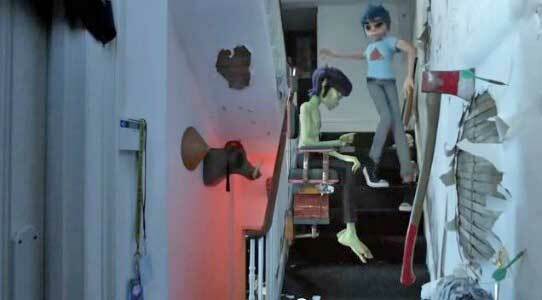 As 2-D goes about his morning, he runs into other converse clad members of his house. Some of them being bandmates like Noodle—who is still fast asleep—and Murdoc—who spends the entire video glaring at everything—and others being animated alter-ego versions of featured guests Andre 3000 and James Murphy. Murdoc glaring at 2-D as they both descend the stairs. In addition to the packed (and extremely messy) house, you’ll also find yourself staring at a bowl full of human ears, a door leading to a black abyss, and perhaps the most terrifying, 2-D showing off his ability to pick his nose with his tongue. It’s like an extremely realistic version of one of those strange dreams you can’t quite wake up from, only this one has mellow vocals in the background…the type of thing you can’t “unsee”. But if you’re the type who can appreciate the surreal, then this video is for you. Buy some chucks so you have plenty of pairs lying around your room.